"Having scratched around for a mere two Serie A goals in peripatetic playing time in Lombardy, Silva already has seven for Sevilla, and scored again in Portugal’s win in Poland." There could be few better ways of getting restarted in La Liga after the international break, with Sevilla visiting Barcelona on Saturday night. Remarkably, they do so as leaders on the back of four successive domestic wins, a run in which they scored 14 times. When Pablo Machín's team lost at home to Getafe in mid-September, they had found themselves a mere point north of the bottom three. Most, it appears, are still of the opinion that form is temporary and class permanent, with the Andalucians' recent run seen as the exception rather than the norm, particularly in the context of a trip to Camp Nou. The Exchange market fully expects Barça to help the natural order resume, with their price to win on Saturday just [1.38] and Sevilla all the way out at [7.60]. We shouldn't be too quick to write off the visitors, though. Sevilla have a reputation for being rotten on the road but this is a largely a hangover from their final season under Unai Emery, in which they failed to notch a single away victory while preoccupied with retaining the Europa League (which they did successfully). Two more full seasons have passed since then. More relevantly to the here and now, Machín and company have won three out of four away games so far this season. 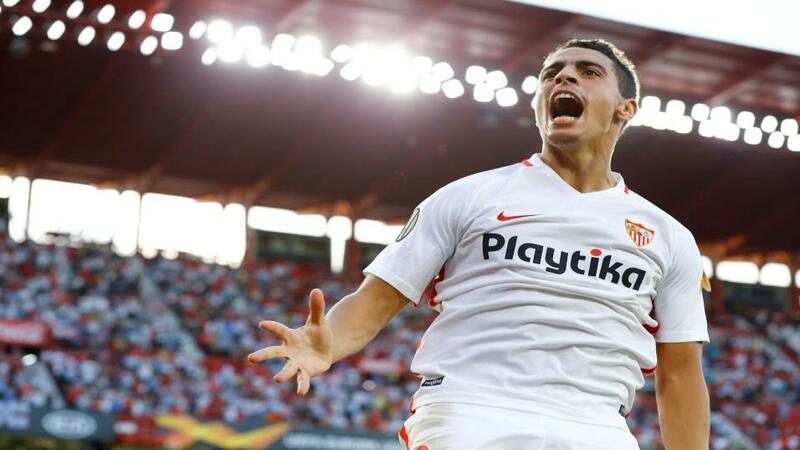 Their ability to score is an important factor when it comes to facing Barcelona - only the champions have struck more than Sevilla so far this season (19 to 18) and they have the most in-form front two in the division in the shape of André Silva and Wissam Ben Yedder, who already have 12 goals between them. Silva has arguably been the signing of the season in Spain, completely rehabilitated from a difficult first season out of Portugal with Milan. Having scratched around for a mere two Serie A goals in peripatetic playing time in Lombardy, he already has seven for Sevilla, and scored again in Portugal's win in Poland. Only Christian Stuani of Girona has more than him in La Liga so far. Sevilla also have extra firepower on the bench in the shape of record signing Quincy Promes. Barça still merit being favourites on Saturday night, though they will have been glad of the chance to regroup after a winless run of four in La Liga. Sevilla owe their current perch as much to the shortcomings of Barça and Real Madrid as they do to their own efforts. If they are to win this game and retake the leadership, their stellar forward players will have to do it for them. There will be no grinding it out. Coach Ernesto Valverde is still missing Samuel Umtiti -his best defender on this season's form - while Thomas Vermaelen is again absent through injury. They are stretched at the back, with plenty of evidence already in La Liga that they can be got at. There is also the feeling that the Champions League is the major objective for Barça this season, with last season's humiliating exit to Roma the only real complaint with Valverde's reign so far. Lionel Messi has said that a serious tilt is a must, and that his team's dazzling display at Tottenham was by far and away their best display of the season backed that up. The suggestion remains that something is missing from the mix at Camp Nou - the cover of Thursday's El Mundo Deportivo ran with the story that Neymar regretted his move to Paris Saint-Germain and wanted to come 'home' to Barcelona at the end of the season - and that the dressing room would be in favour of the Brazilian's return. Victory over Sevilla wouldn't scratch that sense of longing for true magic, and Barcelona know it. Maybe that could give Machín's team the sliver of opportunity they need.